I have recycled an older kit into a Traveler's Notebook Friendly package - so please note, there are materials from January Storyteller 2016 in here. I DO! I LOVE to accent my planner and with a hint of love in the air this kit's stickers and inserts you will have tons of fun prettying up your May Planner! Stickers include a cut file PNG for easy tracing + SVG. Please see the video for how to do this in Silhouette Studio. I DO! I LOVE to accent my planner and with a hint of love in the air this kit's stickers and inserts you will have tons of fun prettying up your April Planner! I DO! I LOVE to accent my planner and with a hint of love in the air this kit's stickers and inserts you will have tons of fun prettying up your March Planner! I DO! I LOVE to accent my planner and with a hint of love in the air this kit's stickers and inserts you will have tons of fun prettying up your February Planner! I DO! 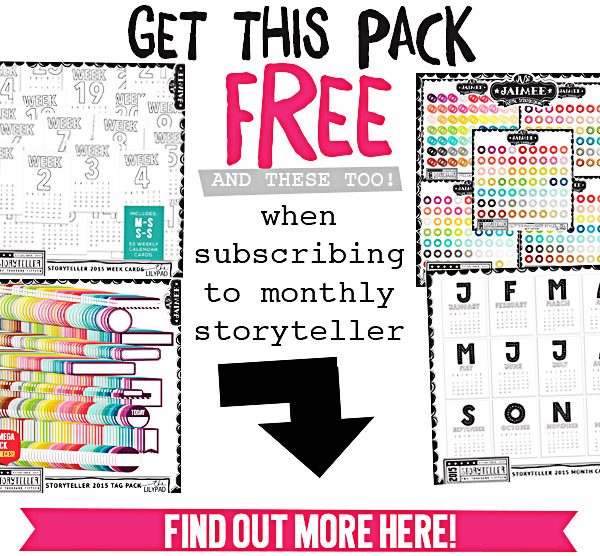 I LOVE to accent my planner with lot's of bright, fun and cheerfully colored stickers and that is exactly what the January Story Planner Kit has in it! BONUS Free January Divider "Smile like a Monkey with a new banana"
Files available as individual jpgs or pngs as well as ready to print PDFs in both LETTER + A4 Format. 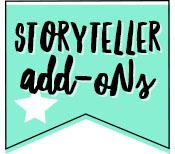 The Personal Size set you see here is offered free to Storyteller Subscribers but also available for individual purchase. If you are looking for some inserts for your Personal Sized Planner Binder such as Kikki K Medium, Color Crush and other brands these may be a great starter point. The pages are bold and contemporary, but still functional and plenty of space to pretty it up and make it your own! This set of pages also co-ordinates with my monthly Story Planner Kit. Weekly Plans including Meal Plan, Checklists (Bills, Appointments and Important items) as well as a currently area, a notes box and on the back side a weekly stories area where you can jot down short blurbs about your day. Pages are printable and will be delivered in digital format. Have you got an insert or other planner related suggestion. 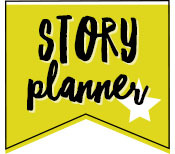 I intend to expand the Story Planner line throug out the year so please Drop me a line here! NEED SOME HELP USING THE PLANNER SYSTEM? The A5 set you see here is offered free to Storyteller Subscribers but also available for individual purchase. 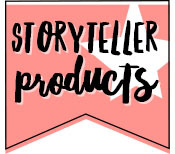 If you are looking for some inserts for your A5 Planner Binder such as Kikki K, Filofax, Carpe Diem and other brands these may be a great starter point. Weekly Plan including Meal Plan, Checklists (Bills, Appointments and Important items) as well as a currently area, a notes box and on the back side a weekly stories area where you can jot down short blurbs about your day. Created in co-ordination with the January Planner Collection Monthly Collab, this set is an extra sticker sheet with blocks measuring 1.5x1.9in plus words which are a nice addition to use over and over again while laying out your calendar weeks! 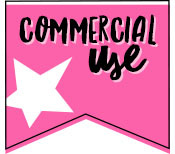 Included are 40 stickers in JPG, PNG + PDF format and includes a black sheet which makes tracing in Silhouette easy! Don’t go scrambling for just the right piece to finish your page, download this super pack of week cards that coordinates with Storyteller 2015. This set includes 53 weekly cards in TWO formats: Monday-Sunday and Sunday-Saturday weeks. Grab this pack now and be ready for scrap all year long.